Desktop PCs are built from a variety of different components. 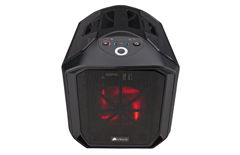 A lot of them are upgradable and replaceable, so it’s easy to customise your PC to suit your exact requirements. 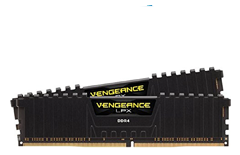 Whether you need a serious jump in graphics capabilities for gaming, added RAM for professional creative projects or extra storage for films and media, we have the components you need to get the best from your computer. If you’re building a PC from scratch, you can pick up everything you need from the processor and motherboard to the case and fixings. Whatever you’re looking for, we can help you build the ultimate PC. A dedicated graphics card is vital to gaming. The more powerful the card, the higher you can turn the graphics settings. 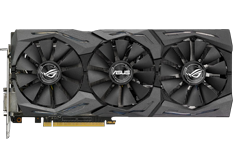 More powerful graphics cards deliver smoother gameplay and are capable of displaying resolutions beyond 1080p. The graphics card is one of the easiest components to upgrade - just make sure you have enough free space inside your PC and an adequate power supply. The power supply sends power from the mains to all the parts within your PC. If you’re upgrading your graphics card, you may need a more powerful power supply to cope with the added performance. Modular power supplies come without cables attached, so you keep things tidy and only connected the ones you need - great for building a PC from scratch. The motherboard is the heart of your PC. Every other component connects to the motherboard, so it’s vital to choose one with enough ports, connections and performance to support them. 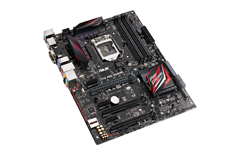 All motherboards are designed to fit a specific processor socket, so it’s a good idea to decide the brand and model of processor before you choose. Random access memory (RAM) sits between your hard drive and processor, effectively handing tasks to the processor to tackle. The more RAM you have, the more you can do at once. Complex software such as Photoshop and Cubase require large amounts of RAM to run at their best. Luckily adding additional RAM is easy - just make sure you add the same type already installed in your PC. The processor is the brain of your PC and one of the main components that determines its speed and performance. The processor socket must match the motherboard, so if you’re building a PC, makes sure both components are compatible. 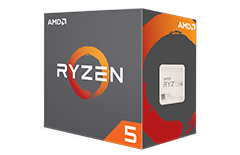 If you’re gaming, creating media or designing, choose the most powerful processor you can, as upgrading the processor at a later date can be tricky. Most desktop PCs allow you to add additional hard drives. 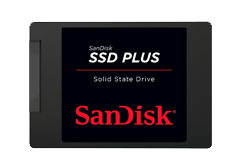 You can use them as additional storage or as automatic backups in case the worst happens and your main hard drive fails. If it does, simply boot your PC from the backup drive and carry on. If you’re building a PC from scratch you’ll need a case. 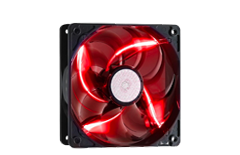 We have plenty of different styles to suit your taste and requirements, from discrete and purposeful cases to chassis with extra cooling for extreme builds. 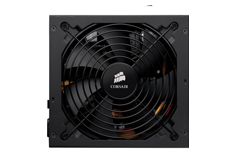 Fans keep your PC cool by circulating fresh air around your components and removing warm air from the case. 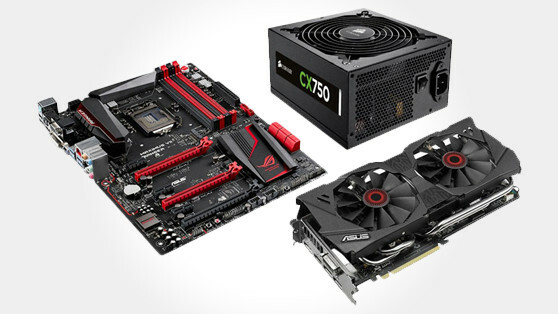 Upgrading the fans of your PC is a good idea if you’re adding a power powerful graphics card, or have a lot of components packed tightly together. If you make and record music using your PC, a sound card lets you record higher quality audio with lower latency. If you’re a gamer or media fan, many sound cards allow you connect surround sound systems to your PC for seriously immersive media. 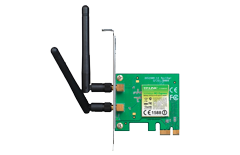 Interface and expansion cards fit into a spare PCI slot in the back of your PC to give you more ports or wireless access to the internet. They’re a simple and cost-effective way to add extra connectivity if your expanding setup needs it. 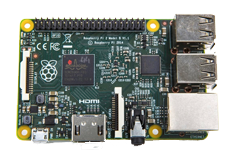 The Raspberry Pi is a single-board computer that's designed to teach programming languages, like Python and Scratch. It’s cheap, accessible and easy to get into - perfect for expanding your knowledge and computing ability whatever your age. Whether you're looking a drive to help build your own device or just something to enhance your computing experience, you'll find it here.